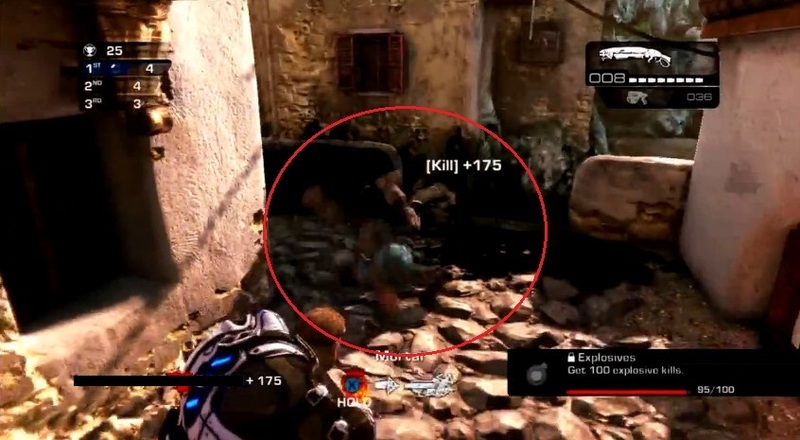 *Note: images below come from YouTube and Gears of War Wiki. 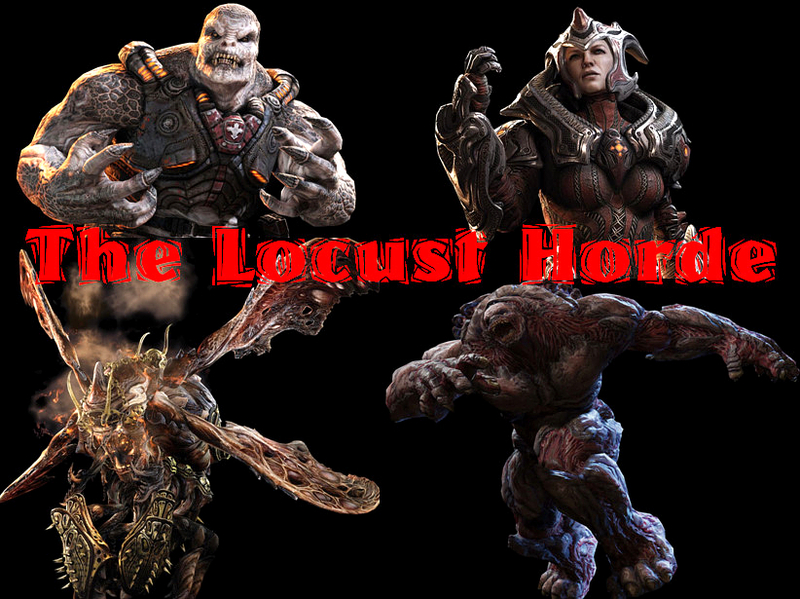 The Locust Horde are the antagonists of the Gears of War (abbreviated GOW) series. Since their introduction in 2006, they have become iconic. 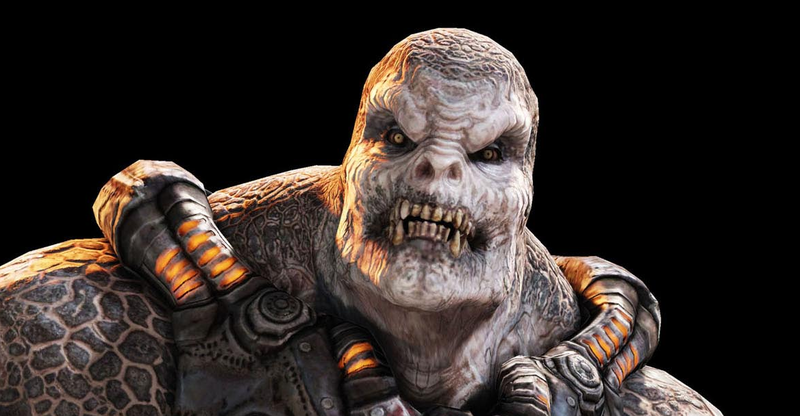 Starting with the release of Gears of War 3 in 2011, players eagerly assumed control over various Locust warriors in Beast mode, and in the OverRun mode found in Gears of War: Judgement. 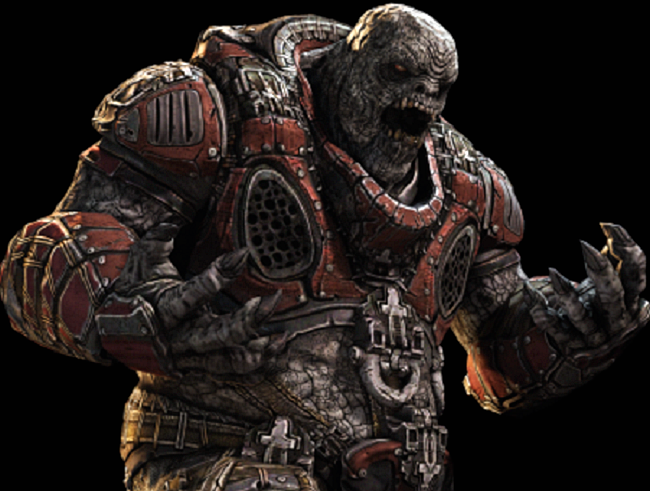 We will simply compare the Locust Horde of Gears of War to the locusts in Revelation 9. “And the fifth angel sounded, and I saw a star fall from heaven unto the earth: and to him was given the key of the bottomless pit. And he opened the bottomless pit; and there arose a smoke out of the pit, as the smoke of a great furnace; and the sun and the air were darkened by reason of the smoke of the pit. 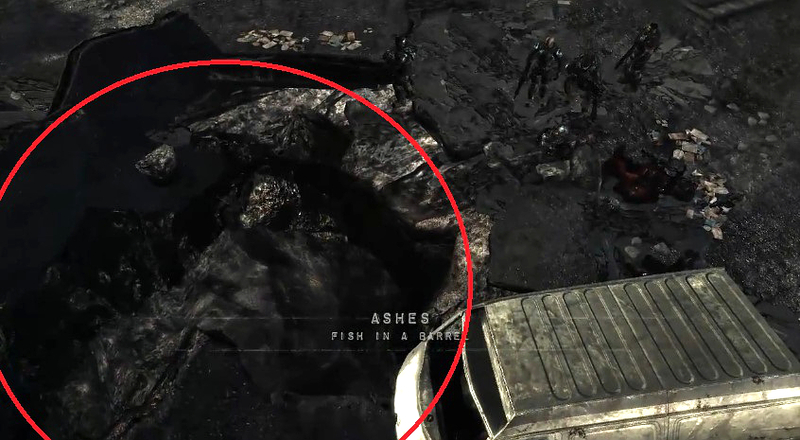 This verse said that the bottomless pit was opened, smoke came out of the pit, and out of the smoke came the locusts. 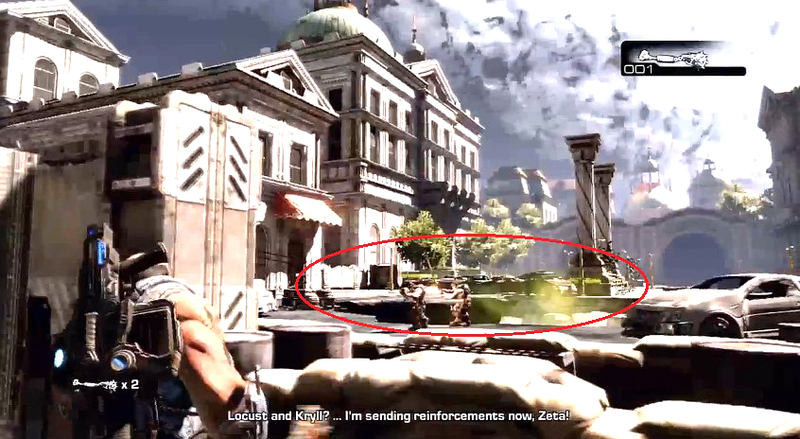 This concept is easily seen in the Locust Horde’s Emergence Holes (E-Holes). 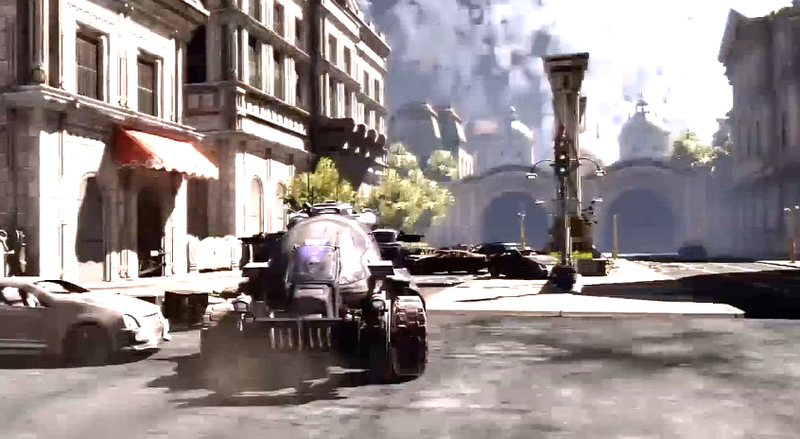 The vehicle being driven is an Armadillo APC. 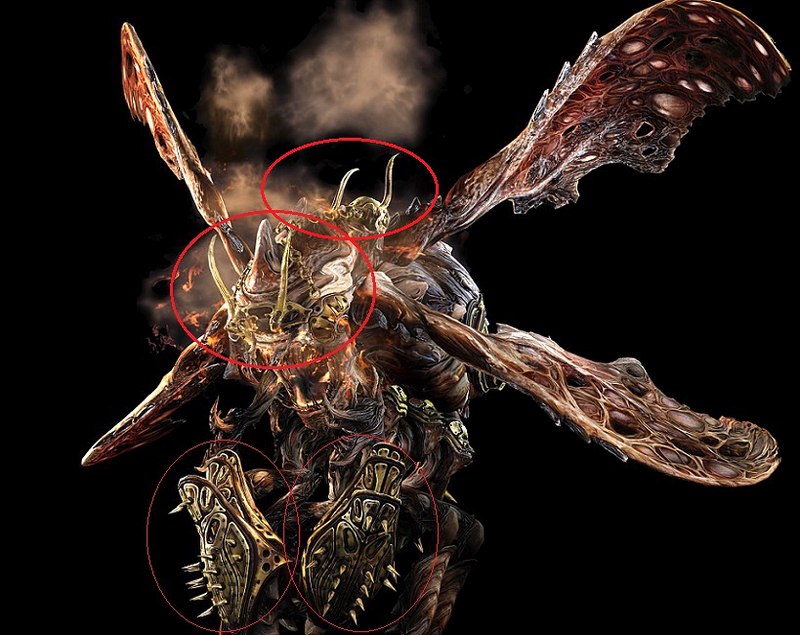 Those claws to the right belong to a Corpser, a Locust creature large enough to easily fling the Armadillo, and create giant holes for Locust to emerge from. 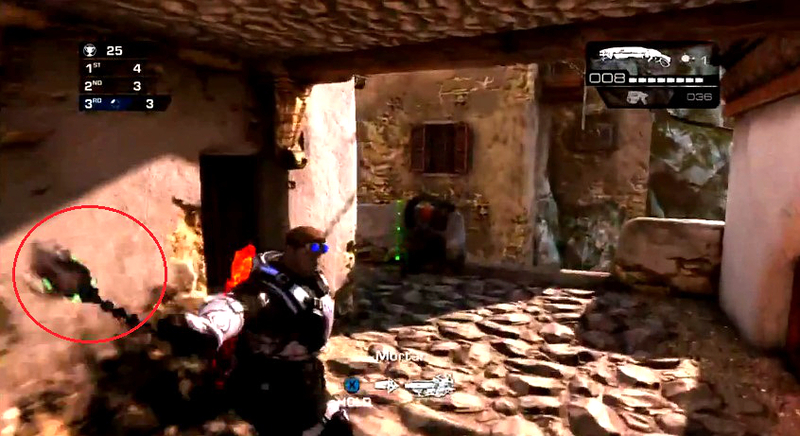 The Corpser is dragging the Armadillo back into the hole. 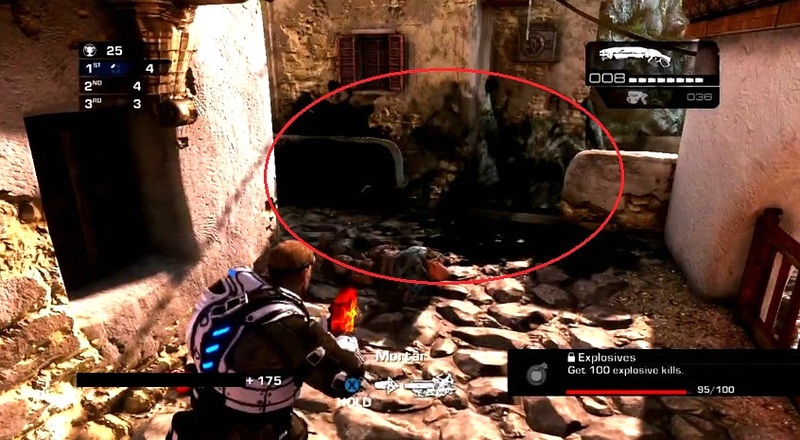 What has been created by the Corpser is called an “Emergence Hole.” It is a pit leading to the Hollow (underground home of the Locust), allowing the Locust to attack from virtually anywhere. 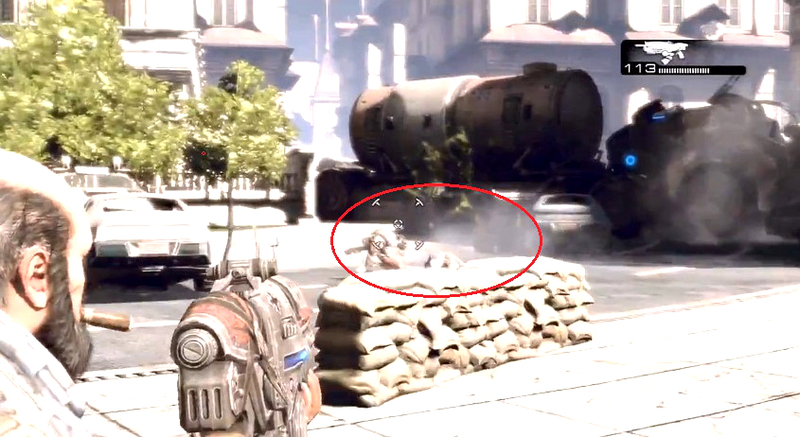 Notice the Locust coming out of the smoke of the pit. An overhead shot of an Emergence Hole. The most common type of Emergence Hole is a bit smaller, but has the same characteristics. 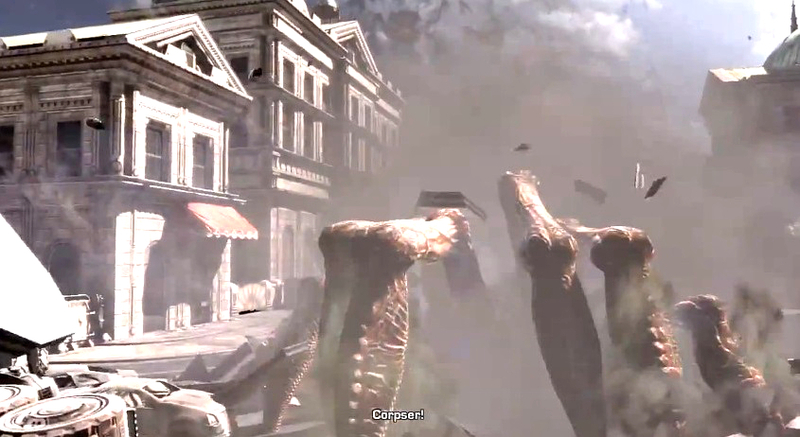 The Locust coming out of the smoke of the pit. 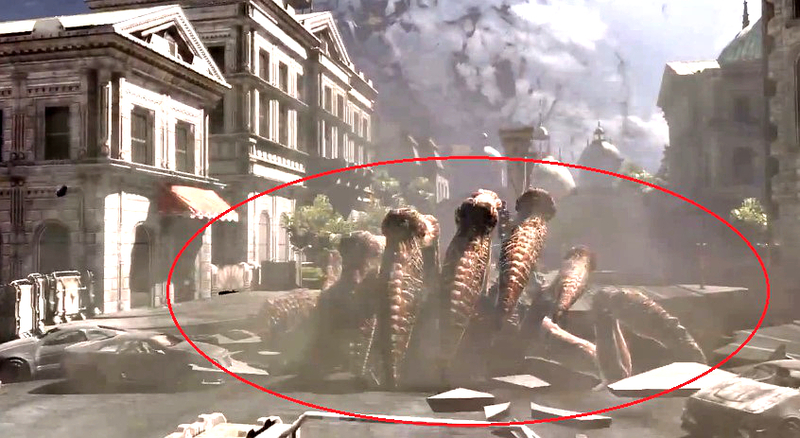 More evidence that the Locust of GOW are demonic creatures like those of Revelation is the Horde’s religion. “But when he [a possessed man] saw Jesus afar off, he ran and worshipped him, And cried with a loud voice, and said, What have I to do with thee, Jesus, thou Son of the most high God? I adjure thee by God, that thou torment me not. 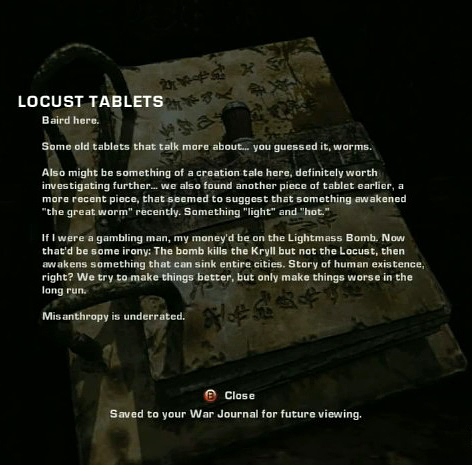 The Locust created weapons known as Ink Grenades. 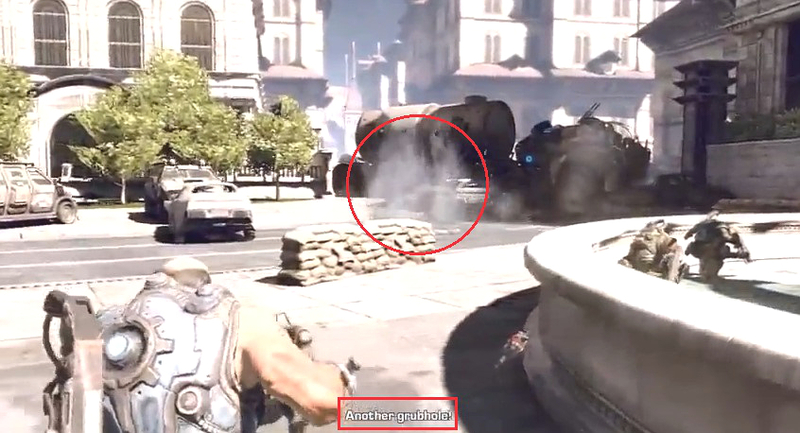 Ink Grenades are baby Nemacyst Inkers housed within a Bolo Grenade casing. 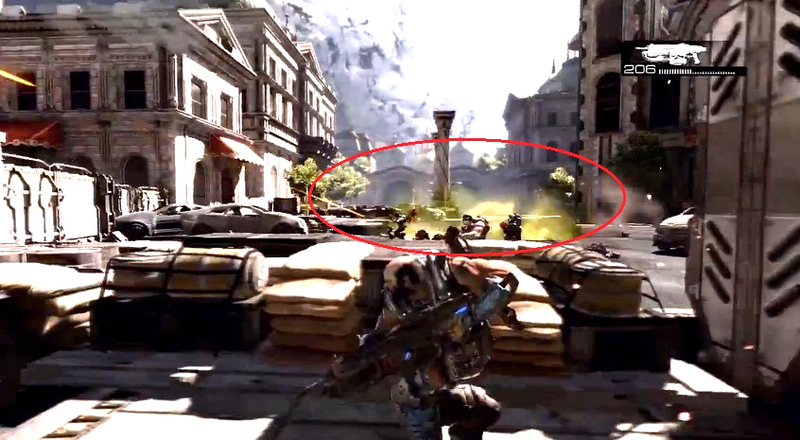 The shots you are about to see are of the Ink Grenade in action. 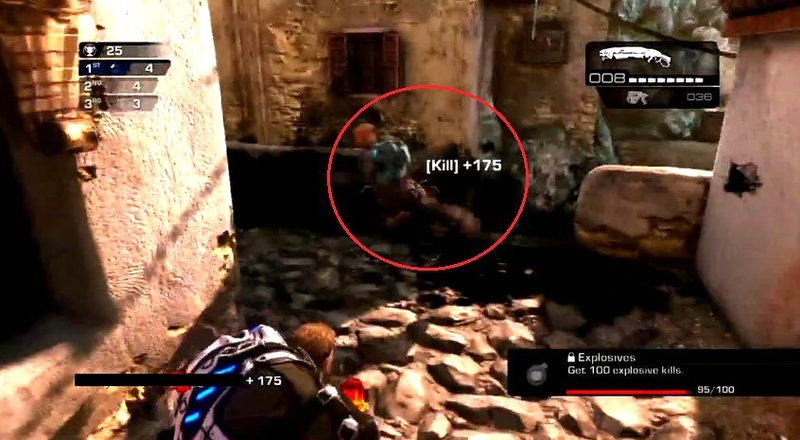 Since the verse said, “their torment was as the torment of a scorpion, when he striketh a man,” we will compare the effects of this weapon with that of the deadliest scorpion in the world, the Indian red scorpion. 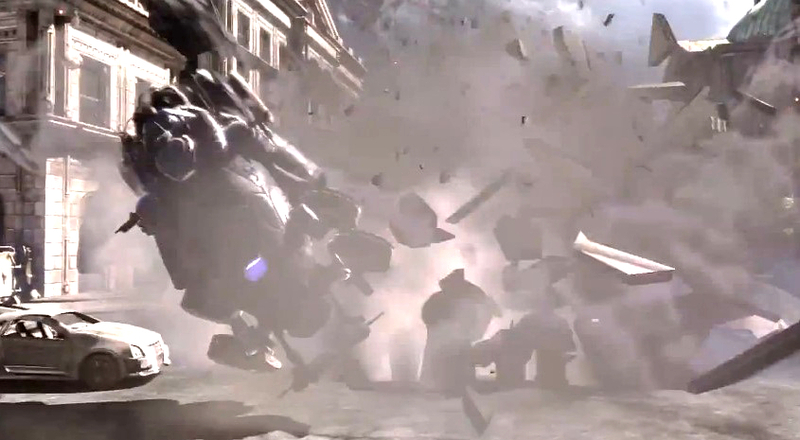 The initial throw releases a black cloud of poisonous smoke. 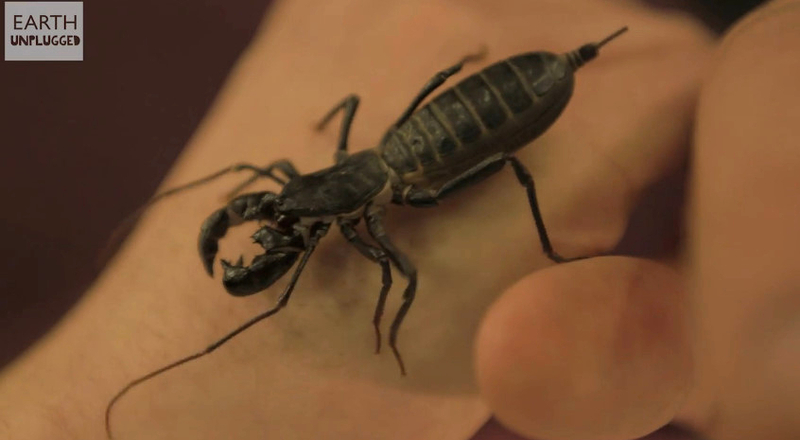 One of the Indian red scorpion’s effects are “severe local pain,” and a sting may result in death. 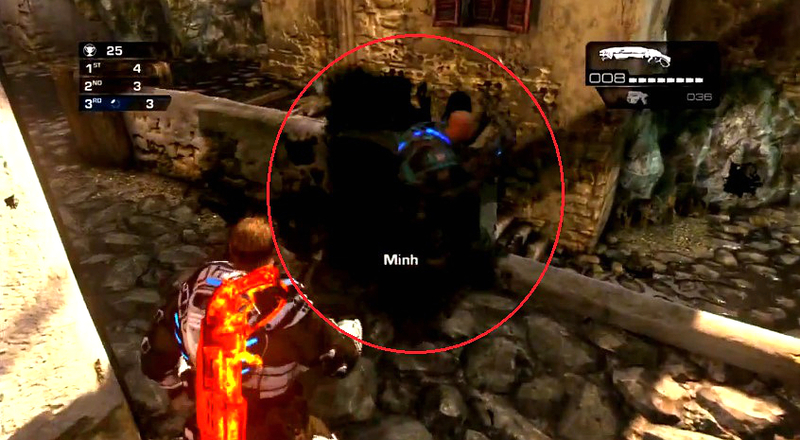 The opponent pictured died within three seconds. One of the Indian red scorpion’s effects is muscle convulsion, and it can be seen here. 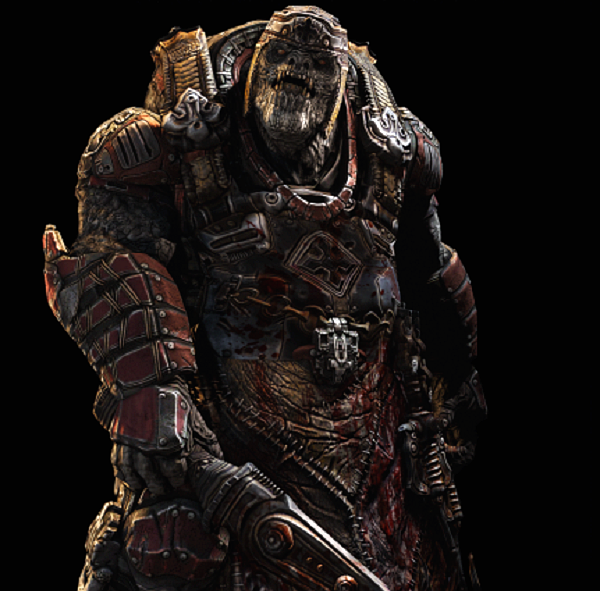 The Tempest is the personal mount of Queen Myrrah (the ruler of the Locust Horde). 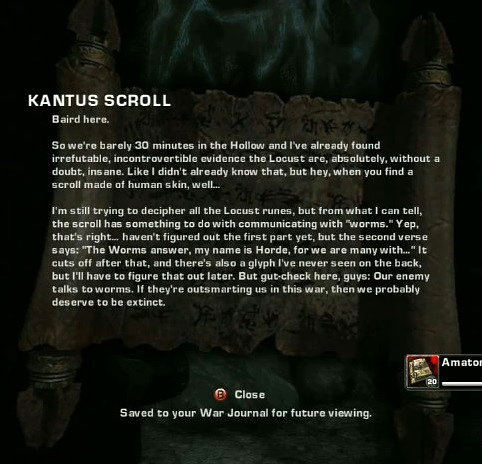 It has a golden crown, saddle, and armor. Notice the golden crown, saddle and armor. 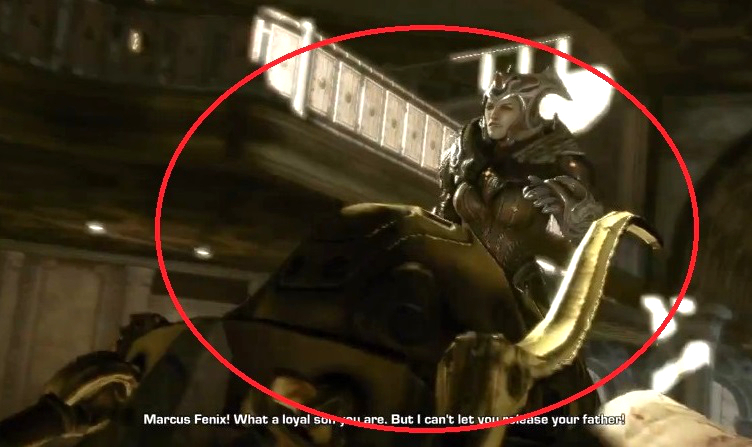 Interestingly, although she is the leader of the Locust Horde, Queen Myrrah is human. 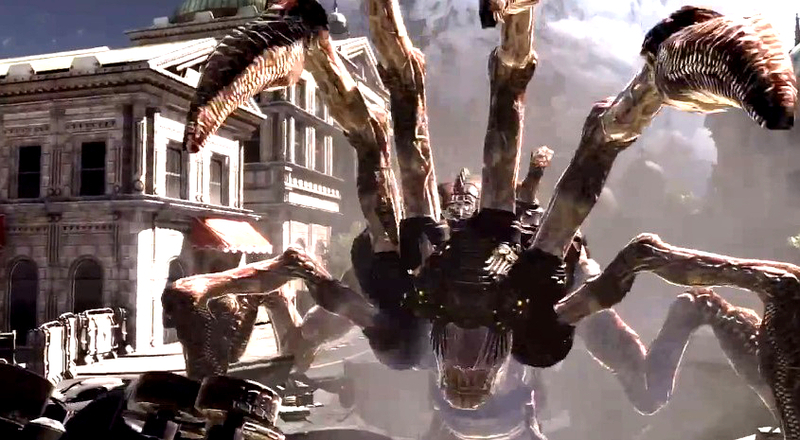 The Seeder is a locust creature that shoots Nemacysts (organic armored shells) out of it’s backside. 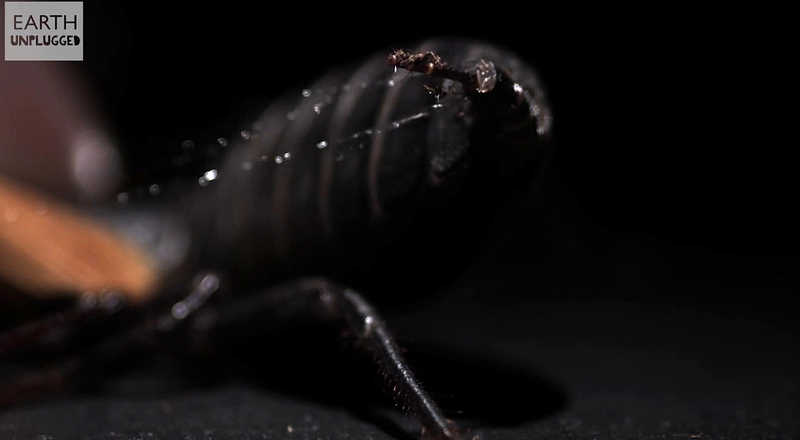 There is an animal known as the vinegaroon, or whip scorpion. 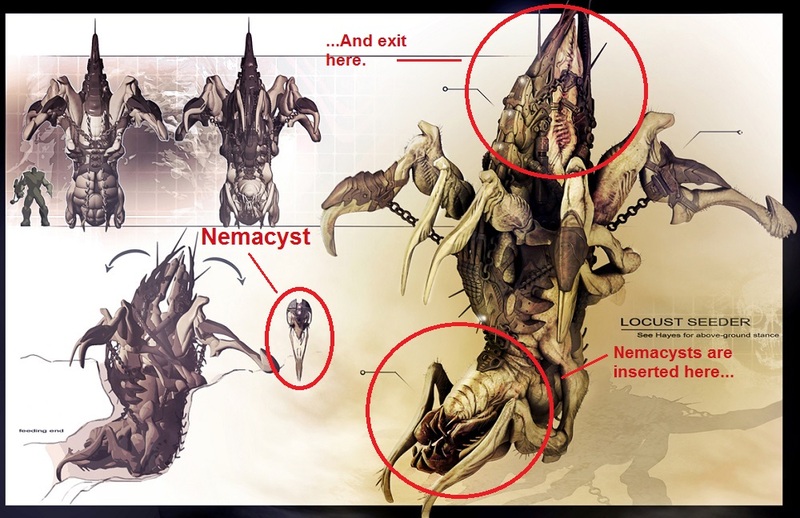 It fires toxic acid out of it’s tail (much like how the Seeder fires Nemacysts, which in their infant stage, are toxic) and actually looks a bit like the Seeder as well. 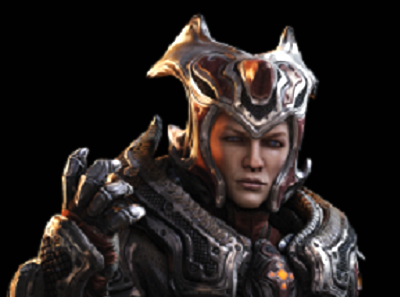 Although there is no king over the locust, there is still a royal influence in the form of Queen Myrrah. “For there are certain men crept in unawares, who were before of old ordained to this condemnation, ungodly men, turning the grace of our God into lasciviousness, and denying the only Lord God, and our Lord Jesus Christ. I will therefore put you in remembrance, though ye once knew this, how that the Lord, having saved the people out of the land of Egypt, afterward destroyed them that believed not. 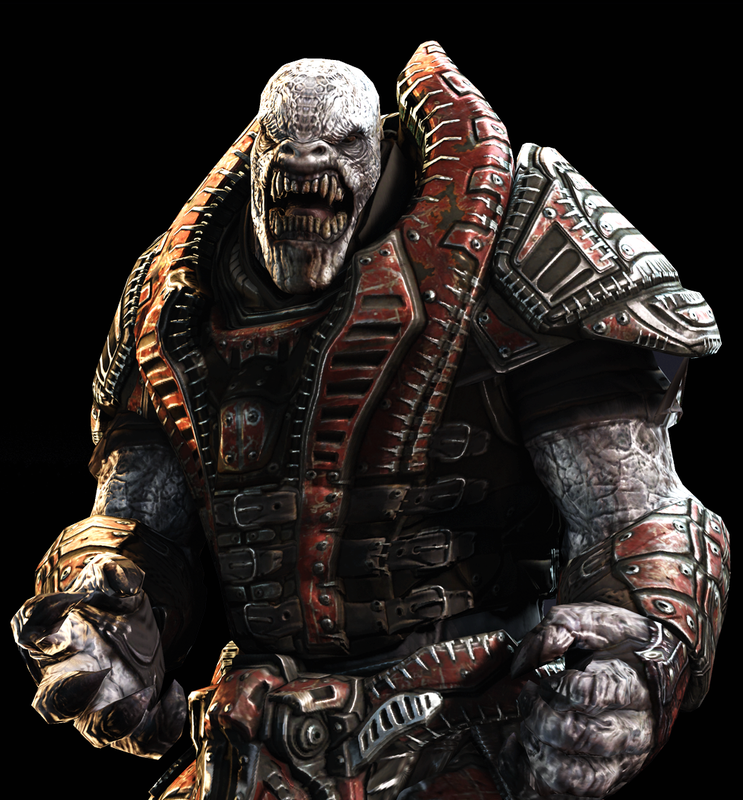 And the angels which kept not their first estate, but left their own habitation [Myrrah is a human that, leaving behind the world of the humans, essentially became the Locust’s queen and mother], he hath reserved in everlasting chains under darkness unto the judgment of the great day. 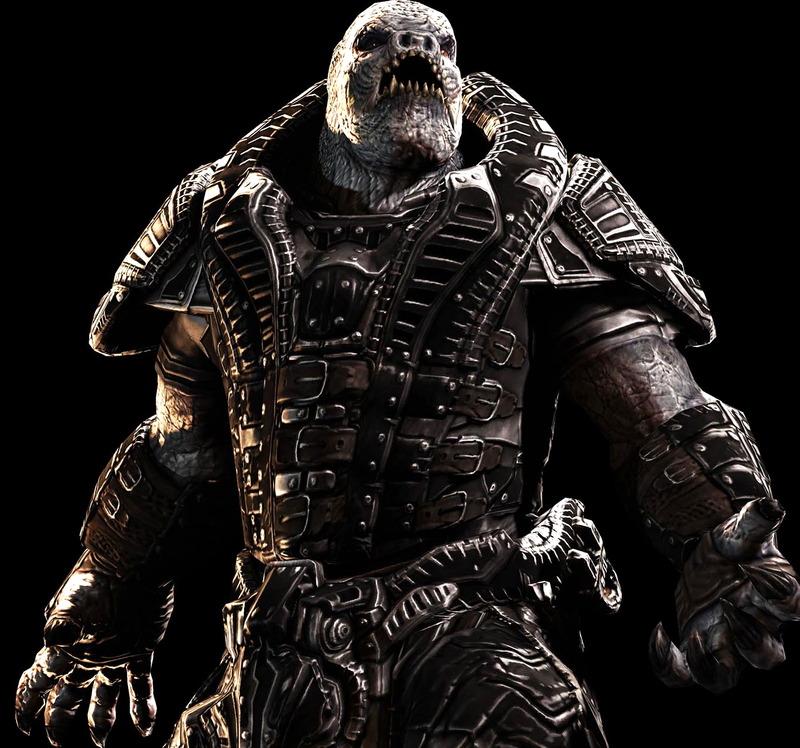 At the apocalypse, when the world is in the process of ending, there is no chance to stop the locusts of Revelation. In fact, it is impossible. Partly because, at that time, people will no longer be willing to repent. “And the Lord appeared to Solomon by night, and said unto him, I have heard thy prayer, and have chosen this place to myself for an house of sacrifice. 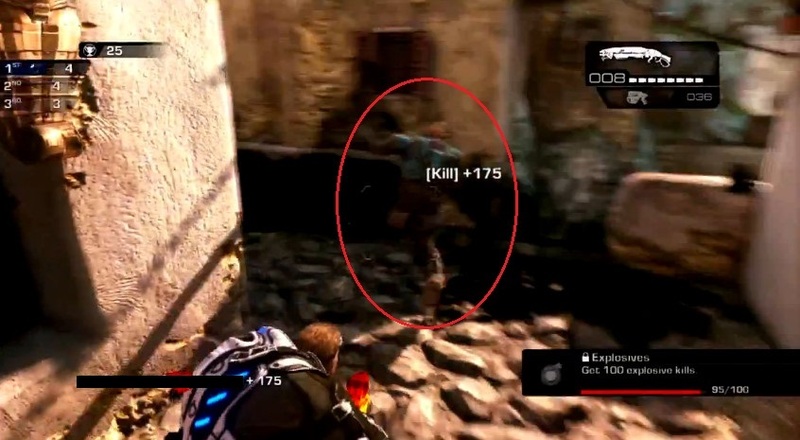 This entry was posted in Uncategorized and tagged Adam Fenix, Angel of the bottomless pit, Beserker, Bible, blasphemy, Boomer, Butcher, Corpser, cursing, Damon Baird, demonic, Drone, enemy of Christ, enemy of God, evil, evil communication, filthy communication, gaming, Garron Paduk, Gears of War, Gears of War 2, Gears of War 3, gears of war 4, Gears of War and the Bible, Gears of War series, Gears of War: Judgement, God, good and evil, GOW, GOW 3, GOW Judgement, Ink Grenade, Jesus, Jesus Christ, judgment, KJV, kjv bible, Kurt Elliot, Lcoust Horde, Locust, Marcus Fenix, Michael Barrick, Mount Kadar, Myrrah, Nemacyst, Nexus, Queen Myrrah, Rulers of Nexus Plates, Seeders, suicide, Tai Kaliso, Tempest, Theron Guard, Trinity of Worms, video game, video games, video games and the Bible, videogames. Bookmark the permalink. 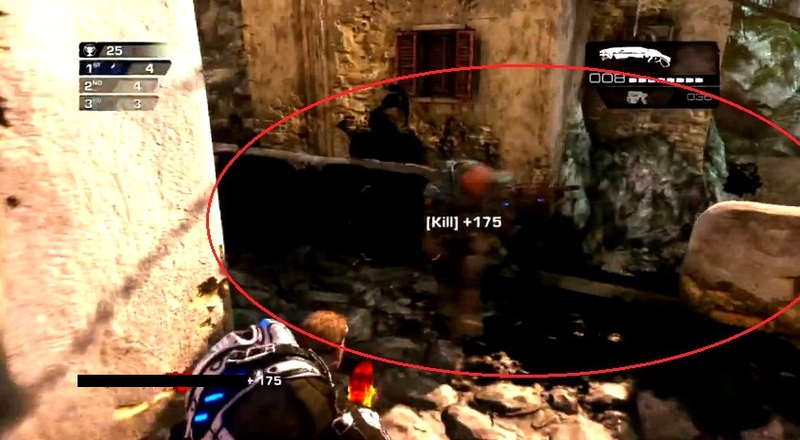 Of where do you take your info? 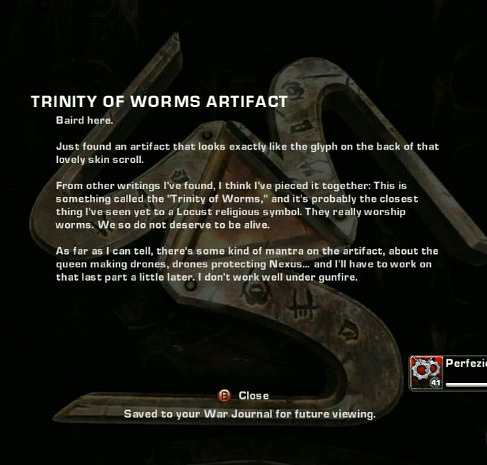 Gameplay footage, wikis, personal experience and the Bible! 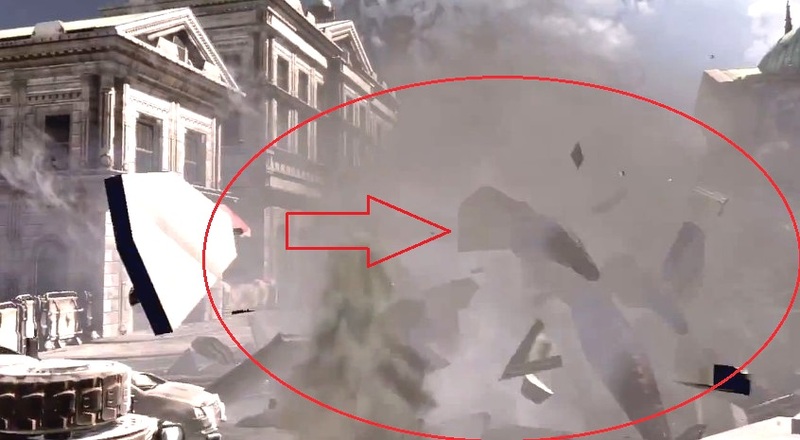 I always felt in my spirit that this game series was portraying the end times. 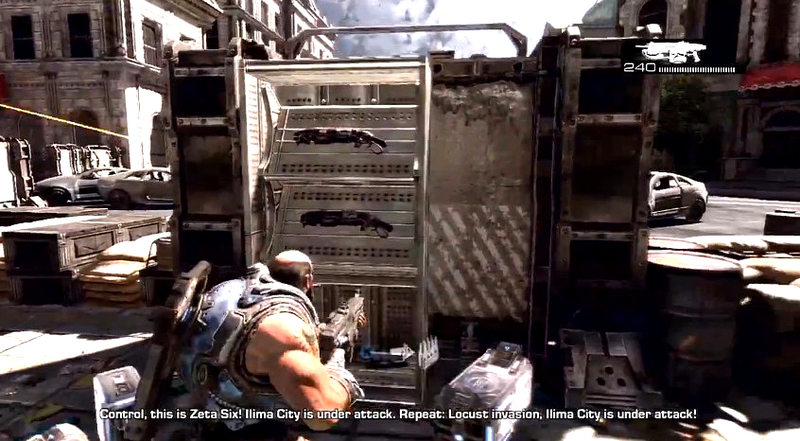 The trumpet on gears 3 did it for me. 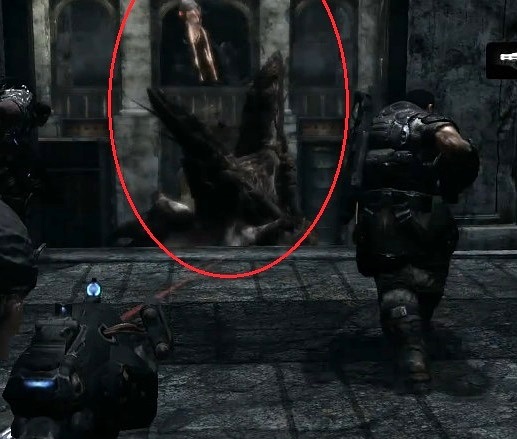 I knew there was something up. Thank you for the information to confirm this.